Japanese gaming conglomerate Universal Entertainment Corp says it took the step of suspending the leadership powers held by the firm’s chairman Kazuo Okada (pictured), accusing him and a fellow director of “a serious violation of governance” in relation to a March 2015 transfer of an HKD135-million (US$17.3-million) loan from an entity called Tiger Resort Asia Ltd, a Hong Kong subsidiary of the group. A special investigation committee – described as three external experts cooperating with in-house auditors – is to submit what the corporation termed “an interim investigative report” to the company “on or around June 30”. It was not clear from Thursday’s corporate press release whether Mr Okada’s leadership powers were currently suspended, or whether the interim report into the matter would be a deciding factor in his further role. The press release said HKD130 million of the loan sum in question was found – following an internal company investigation – to be for the purpose of “personal benefit for chairman Okada”. The document added that at an extraordinary board meeting, held on May 23, an auditor’s report had stated “there was a possibility that fraudulent acts were carried out”. They included, said Thursday’s statement, “skipping a proper internal approval process, in connection with the loan extended from Tiger Resort Asia Ltd, a Hong Kong subsidiary of the company… to a third party, that was processed by Mr Kazuo Okada, chairman and director… and Mr Yoshinao Negishi, director and general manager of administrative division… on March 20, 2015”. It further stated the group had set up an in-house investigation team made up of the corporate auditors, members of the internal audit office and “external experts who had no interests in the company”. The external experts were identified as three lawyers from Tokyo-based City-Yuwa Partners, a law firm specialising in general corporate matters, mergers and acquisitions, international transactions, and financial transactions. The statement added that the group expected to be able to recoup the funds in question, with “no impact on the company’s business performance”. It is not the first time that Mr Okada has been accused of irregularities in relation to his business dealings. In 2012 he was ousted as a shareholder and director of Wynn Resorts Ltd – a casino company founded by entrepreneur Steve Wynn – and had his shareholding in the U.S. firm cancelled at a discount to then market value. It followed the filing by Wynn Resorts of a document referred to as the Freeh Report, compiled by Louis Freeh, a former director of the Federal Bureau of Investigation in the U.S., on behalf of Wynn Resorts. It concluded Mr Okada was “unsuitable” to be a Wynn Resorts director and a threat to the firm’s gaming licences. 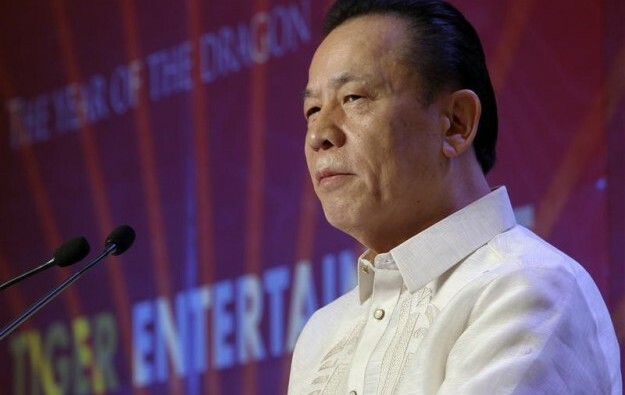 This was on the basis of Mr Okada allegedly providing gifts to what were then senior officials of the Philippine casino regulator, the Philippine Amusement and Gaming Corp.
Mr Okada has denied any wrongdoing, and has since won the right to develop and operate his own gaming resort – Okada Manila – in that country. The Japanese entrepreneur claims his ousting from the Wynn Resorts board was due to him becoming the biggest single shareholder of the firm after Mr Wynn saw his own stake reduced following a divorce. There was no suggestion in Thursday’s release from Universal Entertainment that the March 2015 transactions under investigation were in any way connected to the ongoing legal case between Mr Okada and Mr Wynn. The first lawsuit in the latter dispute was filed in early 2013.